Landlords should submit properties here for auction while Estate Agents should Sign-in/Register to open an Agency Account. Start the auction appraisal process. A property auction normally generates a number of bidders for each property. The process of competitive bidding will help to achieve the best price for the property. The property will only be sold above the reserve price set by the seller. We auction both residential and commercial properties. Every type of property can be auctioned. The administrative fee and auction sale commission are both paid only when your property is sold. If for any reason your property is not sold it will be listed automatically in the next auction. Your property is marketed nationwide through a network of estate agents and online marketplaces. Your property will be seen on the same platforms your high street agents would normally advertise their properties. The entire process, from instruction to the exchange of contracts, can be achieved within four to eight weeks. Memorandum of sale is signed on the auction day and the buyer is required to pay 10% deposit instantly. While the remaining balance is required within 28 days. 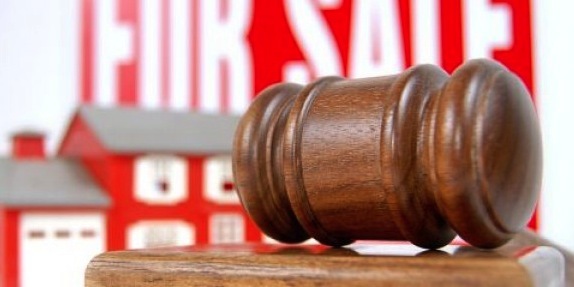 Selling a house at auction is a straightforward process in terms of sale on the auction day. A binding legal contract is formed on the fall of the hammer. The buyer is committed and no further negotiation can take place. We have several bidding methods for buyers. They may bid in person, by proxy, by telephone and online. Thereby expanding the number of people/companies that can buy our lots.